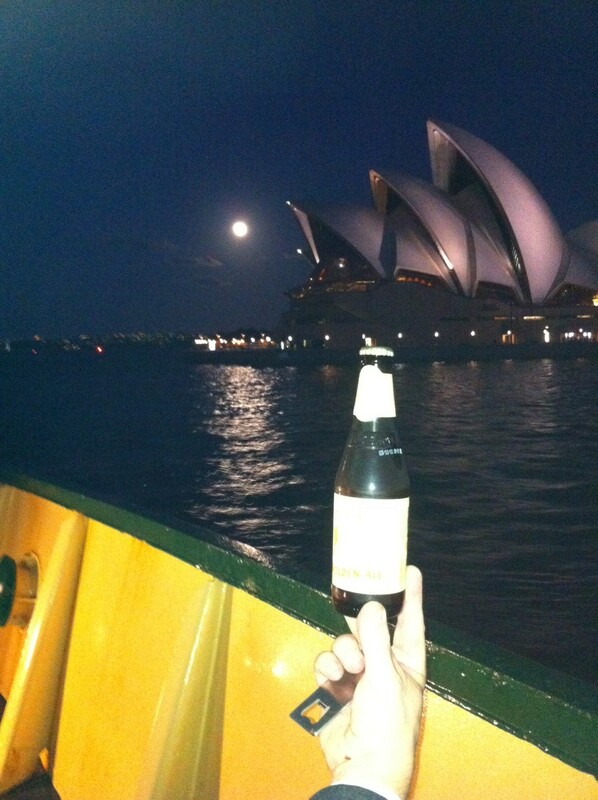 Absent wives presented a rare opportunity to enjoy a Monday night BotF and a post voyage libation on Manly Wharf. So far, the post daylight savings voyages have all been very picturesque with Sydney Harbour not failing to turn a sunset light show. Our camera just aren’t up to capturing how beautiful Sydney Harbour is during sunset – but trust us – it is magic. Normally we’d stop off at the 4 Pines for a bevvy, but inspired by the deeds of the Part-Time monk we decided to give the Bavarian Bier Cafe a visit and see if they had a doppelbock. 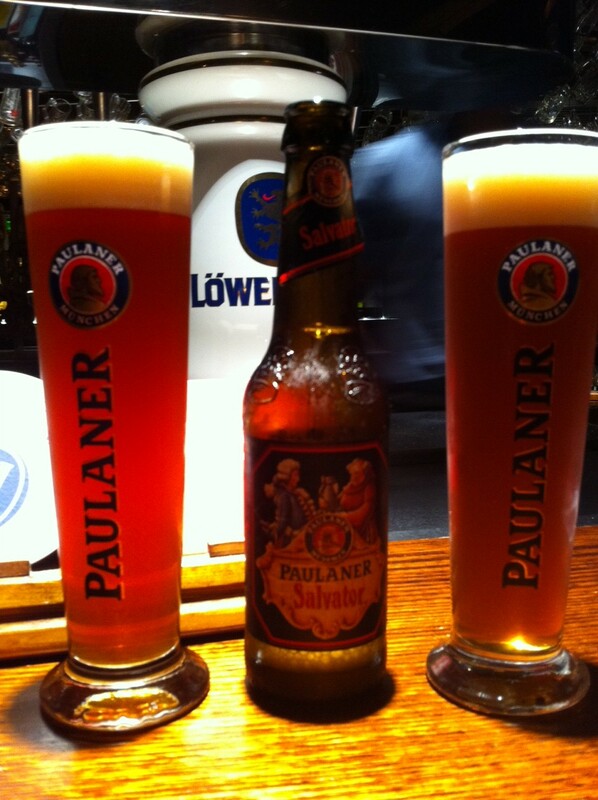 Now given the presence of 4 Paulaner beers in the fridge and the fact that the Part-time monk was inspired by the Paulaner Monks, there was a fair chance we were going to find a doppelbock. We weren’t disappointed. 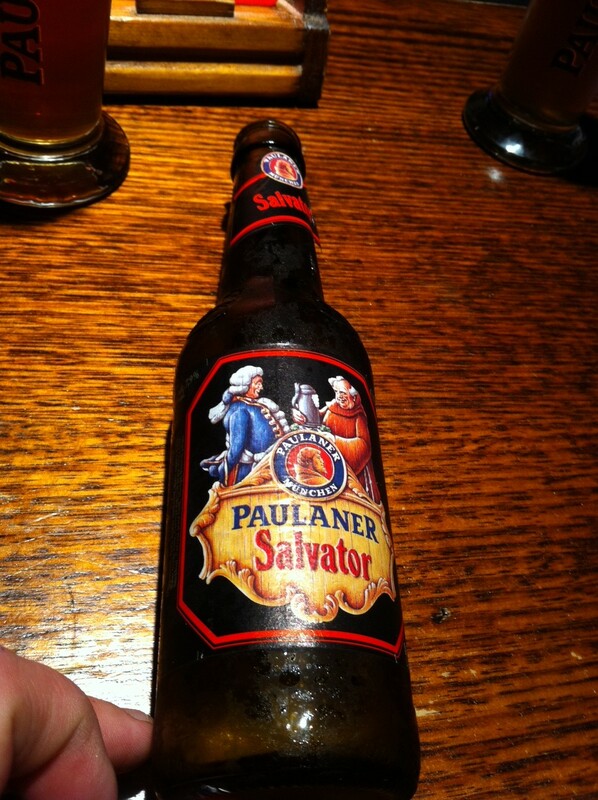 One of the 4 varieties of Paulaner offered was Salvator. It turns out that this beer can trace its origins back to the original doppelbock that the Part-Time Monk is basing his whole journey upon. The Paulaner website is one of the best in terms of giving a history lesson about their beers as opposed to crap about rave parties or branding changes. There is a 21 chapter story about Salvator, but it confirms the fact that to avoid losing weight during Lent, the Monks developed “Liquid Bread”. It was apparently a Stout, but what we drank was more like a meaty ale. At 7.9% and a solid consistency – a couple of these a day would keep one happy. I didn’t need a feed when I got home. As mentioned the Part-Time Monk is in the home straight. Last night, his regular site did an interview Part-Time Monk’s wife. There’s some stuff in here you couldn’t make up. Mrs Part-Time Monk runs a yoga studio and she has a session called “Pints and Poses”. Do some yoga then drink beer. Sounds counter intuitive but there you go. Naturally she’s concerned about hubby’s first feed after 46 days. She’s more concerned about his nominated choice – a bacon Smoothie. Goodonya Part-Time Monk. TfT has landed. Tuborg beer.